There are two bones that are located under the joint at the bottom of the big toe. These are referred to as the sesamoid bones. If they should suffer an injury or become inflamed from overuse, a condition known as sesamoiditis may occur. The symptoms associated with this ailment may include pain while walking or running, and discomfort when the big toe is pulled upward. An X-ray is often performed to obtain a correct diagnosis, as this may be helpful in determining if the sesamoid bones have become fractured. Additional tests that can be performed may include bone scans or an MRI. If you feel you have sesamoiditis, it is strongly recommended that you consult with a podiatrist who can advise you on proper treatment options. Sesamoiditis is an unpleasant foot condition characterized by pain in the balls of the feet. If think you’re struggling with sesamoiditis, contact one of our podiatrists of Piedmont Foot & Ankle Clinic. Our doctors will treat your condition thoroughly and effectively. If you have any questions please feel free to contact one of our offices located in Cary, Apex, Dunn, and Benson, NC. We offer the newest diagnostic and treatment technologies for all your foot and ankle needs. Blisters may appear as a single bubble or in a cluster. They can cause a lot of pain and may be filled with pus, blood, or watery serum. If your feet are hurting, contact one of our podiatrists of Piedmont Foot & Ankle Clinic. Our doctors can provide the care you need to keep you pain-free and on your feet. If you have any questions, please feel free to contact one of our offices located in Cary, Apex, Dunn, and Benson, NC. We offer the newest diagnostic and treatment technologies for all your foot care needs. Athlete’s foot is often an uncomfortable condition to experience. Thankfully, podiatrists specialize in treating athlete’s foot and offer the best treatment options. If you have any questions about athlete’s foot, consult with one of our podiatrists from Piedmont Foot & Ankle Clinic. Our doctors will assess your condition and provide you with quality treatment. 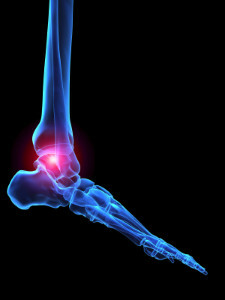 Common symptoms that are associated with arthritis in the feet may include swollen joints, pain, or stiffness. Rheumatoid arthritis is a painful condition that is triggered by the body’s immune system. The small joints in the feet are often affected and this may lead to the development of additional foot conditions. Many patients have a form of arthritis that is known as gout, and this is typically caused by having elevated uric acid levels in the bloodstream. The side of the big toe is generally affected, and preventive measures can be implemented which may include healthy dietary changes. There may be medical conditions that can precede the development of arthritis. These may include psoriasis, osteoporosis, and scleroderma. If you would like information about how these forms of arthritis affect the feet, it is suggested to speak to a podiatrist. Arthritis can be a difficult condition to live with. If you are seeking treatment, contact one of our podiatrists from Piedmont Foot & Ankle Clinic. Our doctors can provide the care you need to keep you pain-free and on your feet. If you have any questions, please feel free to contact one of our offices located in Cary, Apex, Dunn, and Benson, NC. We offer the newest diagnostic tools and technology to treat your foot and ankle needs.